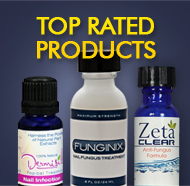 This entry was posted on Monday, November 26th, 2012 at 11:09 pm and is filed under Causes of Nail Fungus, Nail Fungus Symptoms, Onychomycosis, Toenail Fungus Treatments. You can follow any responses to this entry through the RSS 2.0 feed. You can leave a response, or trackback from your own site. Hi. This sounds like good advice, but I am wondering how to protect finger areas after the nail has come off. My separated finger nail had to be trimmed in order to prevent catching on clothing and other objects, but the exposed area is quite sensitive. Do you have any recommendations? Hi Lynn and thanks for your question. Our best suggestion is to keep the area lightly wrapped with clean, thin gauze so that it continues to get exposure to oxygen which will speed up the healing process. Keep it uncovered as often as you can for this same reason, but when needed a light gauze should offer you some protection.